Yesterday, I posted a quick review of the new version of the Logos Bible Software App. I was able to spend quite a bit more time with the new App and I have a few more detailed comments on the notes feature of the app. I spent a couple of hours in my Starbucks reading John commentaries and taking notes on John 9 for my Sunday Evening Bible Study. This is the ideal application of Logos for me (no, not last minute sermon prep! Reading and note taking!) Here are a few observations. First, the note box could use spell check. I would have thought the normal iPad spell check and replace system would work, but it does not. On the one had, this is a good thing since I avoid confusing replacements. But I also make errors when typing notes fast, so a red-line feature would be great. Second, I would like to access a given note from any page, just not the page it was created on. 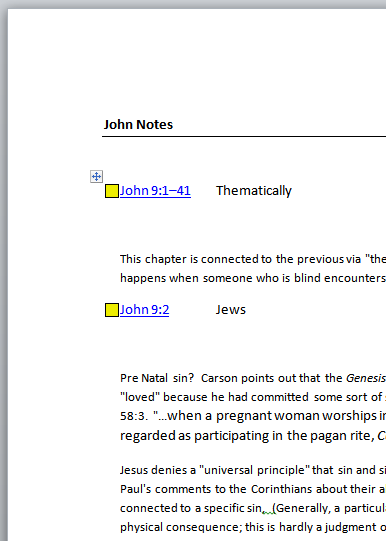 I created a new note (John Notes) and anchored it to the first part of the commentary I was reading. Later I can add new text to an existing note, but I have to create a new anchor on the page I am now reading. If the metaphor used in the App is a notebook, it would be nice to be able to open that on any page and write without embedding a new anchor in the text. I realize that the metaphor in Logos is a marginal note written in a book, but I would like another way to access these notes. For example, on the desktop version of Logos, I can load a whole note file in a window, edit individual note, etc. Third, when you copy and paste text into a note, it retains the book’s formatting. This is good, since Greek and Hebrew pastes correctly, perhaps an option to paste using the current font and font size could be added. Fourth, maybe I just did not notice this before, but footnotes are not displayed at the bottom of a page as footnotes! This is a huge improvement to the previous system which required me to touch the note number. They are very tiny and perhaps my fingers are too fat, but I always had a hard time hitting the right spot to read a note. But these footnotes are not “real text” — I cannot cut and paste them, nor can I add a note to a footnote. That is certainly something which I hope can be addressed in the future. I also learned that you need to finish your note (hit done) for it to be saved. I was writing a note, then realized I was not online, so I switched to Safari so the wireless could connect. I looked at a few pages, updated twitter etc., then switched back to Logos. The program had to reload and my unsaved note was lost. I do have a fairly lightweight 16GB iPad which is mostly full right now. Perhaps with more memory available Logos would not be dumped when switching to a different program. I returned to my office later that afternoon and opened the John Notes file on the desktop version of Logos. Everything was there as expected, so I exported them to Word, fixed my spelling and grammatical creativity and then blended these notes into my regular file for sermon notes. There is nothing here that is a epic failure. In fact, I greatly enjoyed taking notes with the Logos App 2.0. The App is intuitive and easy to use. The App is free at the App Store, or check the Logos website for more information. Logos 2.0 for iPad – Now with Notes! After a very long wait, Logos Bible Software has updated the popular Bible app to include highlighting and notes. When the app was first released, the lack of highlighting and note feature was a major problem. But Logos has not only addressed the missing feature, they have exceeded my expectations. To create a note, select a word or phrase, and then “note” from the menu. This will open the note dialogue (fig. 1). You can select the color of the highlight and the icon used for the note. The Style menu opens another dialogue box which offers a wide variety of highlighting options. The same styles available on the desktop version are present, including the emphasis and inductive styles (fig. 2). You can create a note file for related topics, then add notes to that topic as you read. In my opinion, the best feature here is the fact that notes are synced with your desktop version of Logos. Actually, the notes are kept “in the cloud” in your Logos account. I made a note on Matthew 22:34, and it appeared on my laptop running Logos a few moments later. I updated the note on my laptop, and the note was updated on my iPad version of Logos a few moments later. This is a very cool feature which will make the Logos app an extremely valuable study tool. I very much appreciate a single application for taking notes, and the fact that my notes are available on my desktop make this feature indispensable. Prior to this upgrade, I was using Evernote to try and take notes while reading Logos books, but switching apps was cumbersome and usually resulted in crashing either Evernote or Logos. I think that Logos is the best iPad Bible app, and the addition of highlighting and notes is an important improvement. Logos is still a free app, so visit the App Store and upgrade to the new version. Vyrso has also been upgraded to include highlighting and notes as well. In John 8:12 Jesus makes the remarkable statement that he is the “Light of the World.” As readers of John’s Gospel, we have know this fact since the prologue, but now Jesus declares to crowds gathered to celebrate the Feast of Dedication that he is the True Light. Jesus makes this statement at the Feast of Dedication, or Hanukkah, a festival celebrating the rededication of the Temple after the Maccabean Revolt in 165 B.C. After Antiochus desecrated the Temple, the Jews fought a war to re-capture Jerusalem. When the Temple was secured, the altar was replaced so that sacrifices could begin again. 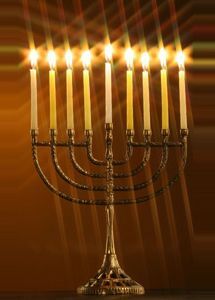 There was not enough oil consecrated to light the menorah in the Temple, so they used what they had and it lasted for the whole eight days it took to consecrate more oil. This miracle is therefore recalled during the feast by the lighting of lamps in homes and in the Temple. Josephus described the feast as the “festival of lights” although some scholars doubt this description as accurate. The story of the miraculous light is not found in 1 Macc, so the origin of the “light” aspect of Hanukkah is not clear (ABD, “Dedication, Feast of,” 2:124). Since this saying takes place in the public courts, Jesus may very well be contrasting himself with the lights of the festival. As people are celebrating the liberation from their oppressors by the lighting of the menorah in the Temple, Jesus stands up and declares that he is the true light of the world! By declaring that he is the Light of the World, Jesus is alluding to several texts from the Hebrew Bible as well as practices in the Temple. There are a number of texts which describe God as light (Ps 27:1, 36:9) or the Law as light (Ps 119:105, Prov 6:23). I think it is likely that Jesus’ allusion is to the light of the Torah in this saying. The Torah is God’s word, and it is by God’s word that the the world came into being. This resonates with the prologue ion John 1 as well, since the Word was with God in the beginning and through the Word all things have been created. For a Jewish teacher to declare that they are the “light of the world” is to claim something which goes beyond what might be expected, he is claiming to be God. Since Jesus says that everyone who follows this light has life, it is possible this is also an allusion to Israel in the Wilderness. This was obvious in chapter 6 when Jesus provided food in the wilderness, in this case the light is the pillar of fire which led Israel when they traveled in the wilderness. In either case, that Jesus is the light of the world is a major theme in John’s gospel. Those who follow Jesus walk in the light, those who reject Jesus walk in the darkness. Light exposes what is hidden in the darkness. Light is always associated with truth, lies with darkness. By the end of this chapter Jesus makes it clear that to reject him is to willingly choose to remainin the darkness, those who follow Jesus are walking in the light. The Author of Hebrews – Why Remain Anonymous? Of all the letters in the NT, only Hebrews and 1 John lack the typical opening expected in a Letter. Why does the author remain anonymous? It is possible the letter was not anonymous in the first place, but the address was lost early in the history of the letter. Perhaps the original document was intended to be delivered with a cover letter from the author which was customized for various synagogues or churches in Rome. Since the cover letter was unique to the church, it was not copied in the same way the letter might. But there is no evidence for this, either by manuscript or tradition. It is better to see the letter as intentionally anonymous. It is also possible the letter was anonymous to protect the writer from any attacks from either Jews hostile to the gospel or Romans wishing to persecute the leaders of the church. Some scholars have pointed out that the Gospel of John does not identify every disciple (there are unknown disciples throughout the book). At least one explanation for this was to protect these still-living disciples from persecution. But this would seem odd for the author to hide his identity given that the letter encourages the readers to face persecution with boldness! It is more likely that the letter was likely intended to be read in a number of different contexts as a literary piece, not a letter written for a particular occasion. Hebrews is a sermon addressed to anyone struggling with the relationship of Judaism and Christianity, although it is especially applicable in Rome in the early 60’s. An introduction with greetings from the author may not have been appropriate, if this is the case. One of the problems with reading Hebrews is identifying the date and recipient of the letter. I am fairly well convinced that the recipients were in Rome, living just before the Neroian persecutions. I think the standard arguments for this position are solid. Jobes (Letters to the Church) makes the point that the book does not use the destruction of the Temple as a “proof” that the Old Covenant has been replaced by the New. In addition, the church has “not yet suffered to the point of shedding blood” (12:4). If the recipients are in Rome, then the letter must refer to a time prior to Nero’s persecution of Christians (A.D.64), but after Caligula Claudius expelled Jews (A.D. 49). This is not apologetics in the modern sense. The author does not argue against Judaism nor does he state that Judaism was bad or wrong in any way. Rather, the writer constructs a positive argument for Jesus’ superiority to various elements of Judaism; he is superior because he is the fulfillment of these things. (He is the substance to which the shadow pointed). If I am right about the context of the book and the recipients have suffered for their faith already (and are about to suffer even more so under Nero), then the readers may very well have struggled with the shame of suffering in a culture which did not see suffering as a virtue. Within a Jewish context, suffering is sometimes seen as a result of sin, or at the very least, a lack of blessing from God. We only need to look at the discussion in the book of Job to see that there was a lively discussion of why humans suffer. If Christians are right and Jesus has triumphed, then why are his followers not blessed? Why are they suffering? We very well may be past that now. Studies indicate that the church is still growing, but at a pace which is slower than the general population. We are beginning to lose ground and we have in many ways lost our voice in the public square. Perhaps this is due to Christians who have humiliated themselves and brought shame to the cause of Christ, or because some very bad people chose to use evangelical Christianity as a way to advance political careers or other agendas. James Davilla posted a link at PaleoJudaica to a free version of the Reformatted Soncino Babylonian Talmud. As Davilla notes, this version was translated and prepared for the Soncino Press in 1935 – 1948. These files are PDF so they can be read on a side variety of devices. I used the new Send To Kindle app from Amazon to send the first Tractate to my iPad Kindle App. Loading the files into a regular PDF reader allows for copy / paste of text. 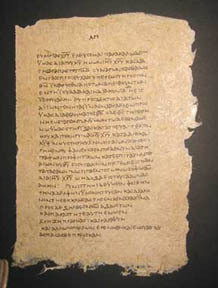 The text is very readable and well-organized, with clear markers for sections (Berakoth 2b). 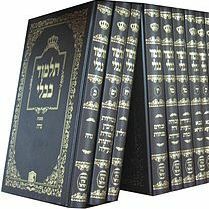 I find the text more readable than many of the other versions of the Talmud available. Logos (for example) sells the Neusner translation, but the way the text is formatted is more difficult to read. The text is available at the Internet Sacred Text Archive, but these files are much easier to read. What is missing is an index or table of contents so you can go directly to a given section. These files include introductory material as well. Karen Jobes deals with the issue of pseudepigraphal authorship in her recent Letters to the Churches (Zondervan, 2011). As she defines it, a document is pseudepigraphical if the author intentionally uses another name rather than his own (page 6). This is different than a pen name (she cites Samuel Clemens, more commonly known as Mark Twain), and it is also different than using an amanuensis, or scribe, to compose a letter. If a person was not “officially commissioned” to write a document then it should be considered pseudepigraphic. Here is the problem for evangelicals with a commitment to inerrancy. If Second Peter says Peter wrote it, then that means Peter wrote it (or commissioned a scribe to write what he intended). Many scholars consider 2 Peter to be written well after Peter’s death by a well-meaning disciple of Peter, but without Peter’s direct authorization. 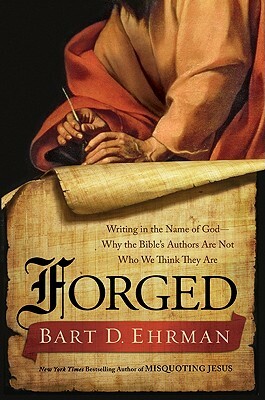 That 2 Peter is a “pious forgery” is almost axiomatic in NT studies. I agree that the way in which most American evangelicals define inerrancy requires the “historical Peter” to be the author of 2 Peter. Not only is the name attached to the first verse, but there are several clear hints that Peter is the author in the book. On the other hand, if I were forging 2 Peter, I would include these very things. So yes, Justin is correct. A pseudepigraphical author of any New Testament book would be contrary to inerrancy. But what if the definition of inerrancy was expanded to include pseudepigraphy as a literary genre in the first century? Here’s what I am thinking: those of us who hold to inerrancy would never say that there was a real, historical “prodigal son” behind Jesus’ parable in Luke 15. In the genre of Parable, the characters are by definition a fiction. That Jesus told the parable of the Prodigal Son is true, but that there was a prodigal son is not true. That part is a story. I would say the same for Jotham’s fable in Judges 9. 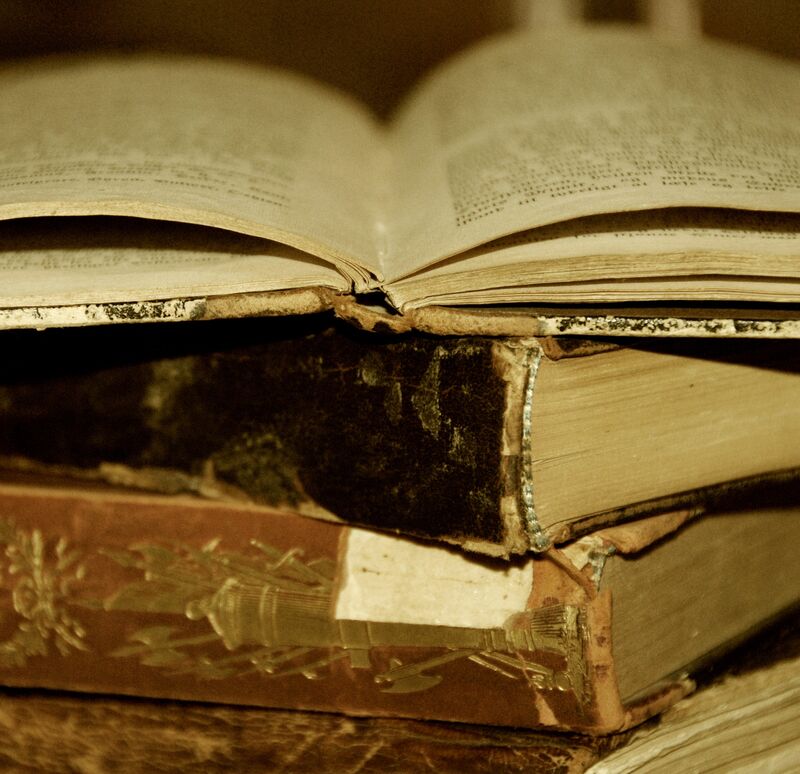 Inerrancy must be broadly defined to include genres such as a parable or illustration. Can you argue that the genre of Testament literature allows for the use of a pseudonym? No one really thought the Testament of Levi was written by Levi, it was fairly clear that it was not. One might argue the same about 2 Peter – it is really a “Testament of Peter,” using the literary conventions of the first century. I am not sure that I agree with this line of argument, but it would allow for an evangelical to teach that Peter is a pseudonym still hold to inerrancy. On the other hand, it is difficult to accept that letters which claim to be from eye-witnesses of Jesus and “teaching the truth” as opposed to falsehood would themselves be foundation on a lie, even if that was a culturally acceptable literary genre.